We see a lot of research reports every day, showing market shares in the fast moving smartphone and tablet markets. These figures are based on number of units shipped to retailers and not actual consumer sales. In most cases, Apple does release actual sales figures as they have their own retail stores and thus, direct access to that data. I've heard a lot of talk from pundits who claim that Apple is actually ahead of Android because those numbers are shipping figures. Then, I usually hear the same people claiming that Nokia is actually doing well because they're shipping 1.3 million Lumias in 7 markets. Let's have a closer look at the basis behind these figures, shall we. Android handsets are available in every major market that exists today. The amount of choice presented to a consumer is unparalleled. Now, when we look at Android's shipping numbers every quarter, we see massive growth in shipping numbers, not only annual growth, but sequential quarter-on-quarter growth as well. For the purposes of this blog post, it is these sequential growth figures that matter. Huge sequential growth in shipping implies, huge sequential growth in sales. If Android handsets were just sitting on store shelves, no retailer would order for more, simple as that. Now, because these handsets have been selling out, and there is huge, growing consumer demand for more, which drives increasing shipments for the next quarter, and so on. 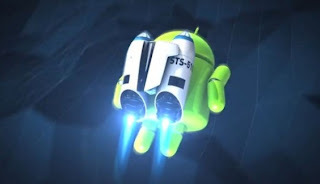 In short, shipments are a leading indicator for sales in case of Android. So a trend of sharply rising shipping figures, indicates strong sales, and strong upcoming sales. Now Nokia Lumia has been launched in 7 markets in the last quarter, in which they shipped 1.3 million units. Now, these numbers by themselves make no sense. We have no idea how many have actually been sold, as we have no follow up or previous shipment data. Now, if Nokia Lumia's shipments rise in the next quarter, does that mean that sales have taken off? Not in this case, no. For the simple reason that Nokia has staggered the launch of Lumia handsets. So if the number of targeted markets go up to 14 in the next quarter, we don't know if the increased shipments are the new shipments to the previously unapproached markets or from sales growth in existing markets. In fact, I think this is Nokia's strategy. In order to insulate their stock from low offtake of Nokia handsets, they've staggered their release to show artificial growth in shipping numbers, even if that does not translate to sales growth.